Frankly, many Buckhorn Regulars come here just to do nothing. After all, lives for many of us (even retirees!) can be hectic and stressful. A chance to relax in comfort, read a book, have a real conversation with your loved one can be pretty special. But for those of you yearning to engage in great activities while you are with us, take a look at the list our wonderful Carson Newman University intern Taylor Foy put together. Just reading it may tire you out. Click here for list of activities. 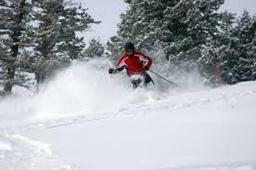 These deals are especially for those of you who may not have figured out that Winter can be spectacular in the Smokies. Wine expert Dave Jennings will conduct a wine tasting for our overnight guests on Thursday, February 21 You can sample a number of varieties–red, white and in-between. And if you aren’t a wine connoisseur you can be by the end of the evening. Dave will offer guidance on learning how to taste wines that will deepen your appreciation for both wines and winemakers. The discounted one-night rate includes dinner, breakfast and accommodation, $200 for premier rooms and cottages and $175 for traditional rooms. Come a day earlier and add that night with dinner, breakfast and accommodation for an additional $165 for premier rooms and cottages and $135 for traditional inn rooms. Book online or telephone our Fabulous Office Manager Debbie on 865 436 4668. 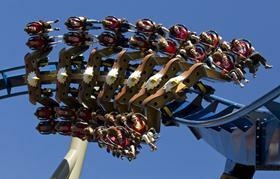 Book early to insure your reservation for this annual favorite. The Deal: 2 nights, breakfast for 2 on 2 mornings and dinner for 2 on 2 nights; Sunday through Thursday nights, January 7 through March 14, $365 Cottages and Premier Rooms; $310 Traditional Rooms. Book online or telephone our Fabulous Office Manager Debbie on 865 436 4668. Sweep your sweetie off her (or his) feet and indulge in a truly romantic evening on February 14. A lovely room in the mountains, a roaring fire with a sumptuous dinner, and a great breakfast before you leave the next morning is included in our Take Time for Two Celebration. Chilled champagne will be waiting for you in your cottage or room. An elegant Valentine’s dinner will delight your senses and enliven your tastebuds — a feast for the eyes as well as the palette. 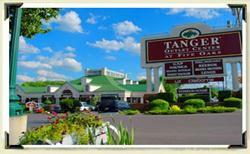 The rate for a Premier Room or Cottage $245 and Traditional Inn Room $200. And if you can’t make it on Valentine’s Day, make it up to your sweetie by giving a Buckhorn Inn Gift Certificate. Book online or telephone our Fabulous Office Manager Debbie on 865 436 4668. Hand me an apron– let’s cook! A day in the kitchen with Frank is an amazing experience. He is a talented chef and kind teacher. I told him I have never been much of a cook, but I was able to follow a recipe. He laughed and informed me that he doesn’t use recipes. I knew I was in for a long night! 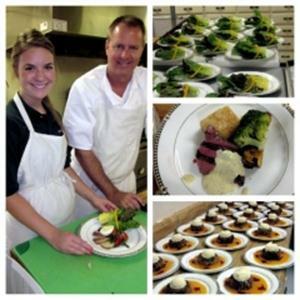 We prepared a four-course meal together: Grilled London Broil with Béarnaise Sauce, Mushroom and Wild Rice Soup, Garden Salad, and Orange Carrot Cake with Mascarpone Icing. For Carrot Cake recipe, see our blog. Treking up Sixers—mountains higher than 6000 feet—get you bragging rights and entry into the South Beyond 6000 Club if you complete all 40 of them, most of which are located in the Appalachians. You don’t get just bragging rights–climbing these peaks gives you the experience of sharp habitat transitions and the region’s most stellar views. A trek up our beloved Mt LeConte (6593 feet) takes you through hardwood forests to spruce and balsam and onto exposed cliffs that require steel-cable assistance. 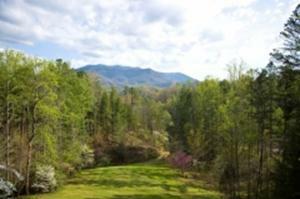 Many of our guests make LeConte a day hike, while others just enjoy the view from the Inn’s front porch. At nearly 80 feet, Rainbow Falls is the longest plunge of water in our National Park. For this and our four other recommendtions for winter waterfall walks click here. 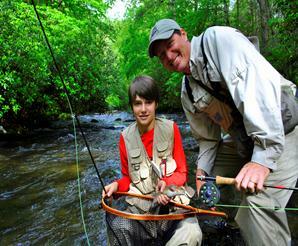 There are three great events in the first three months of 2013 in the Smokies, the Annual Wilderness Wildlife Week, Saddle Up!, and Mountain Quiltfest. For details click here. Well, not this space exactly. Watch our website in early January because 2013 is the Inn’s 75th Anniversary, and we will be posting details about our year-long hullabaloo early that month. We plan to celebrate with special events and opportunities for guests to join in the celebration and to win gifts from the Inn. One of the best reasons to hike to winter waterfalls is because there’s more water flowing at that time of year. You get better views of the falls and better photos in winter because the trees have dropped their leaves. So, get your hiking boots on and try some of these treks when you are at Buckhorn in the next few months. Hen Wallow Falls is 4.5 roundtrip. Take the Gabes Mountain Trail out of the Cosby Campground. Keep going and you will see some amazing old-growth forest. Rainbow Falls is 5.5 miles roundtrip. 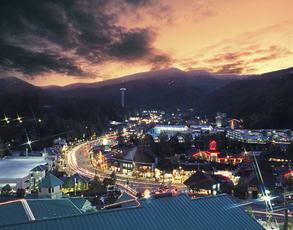 The trailhead is located on the Cherokee Orchard Road at the back of Gatlinburg. 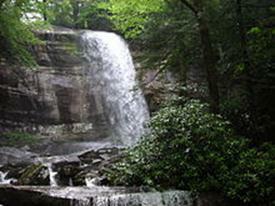 Laurel Falls is 2.5 miles roundtrip. It’s the only trail to a waterfall that is paved. The trailhead is on Little River Road 3.9 miles west of Sugarlands Visitor Center. An entire week of nature programming including hikes, seminars, and workshops about the wonders of the Great Smoky Mountains National Park and other regions of the United States. Music Road Hotel & Convention Center. 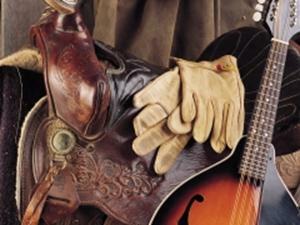 This celebration of the American West features cowboy singers, musicians and poets. 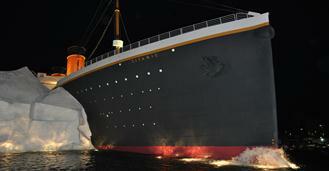 The award-winning Stories & Strings program returns. 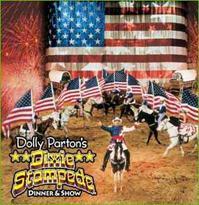 Register to experience three other concerts, a chuck wagon cook-off, and The Cowboy Dance. Finish out the event with Cowboy Church on Sunday. 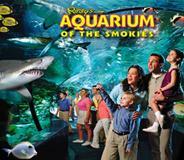 The Smoky Mountains is bursting with activities for everyone to enjoy. Complete your stay at Buckhorn Inn by experiencing the mountains in your favorite way. Plan your day by clicking on any of the unique activities below. View the mountains from high in the trees on a zipline. 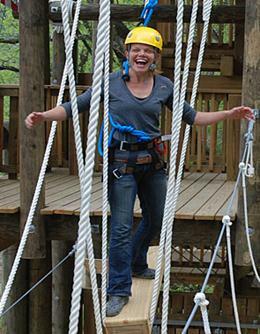 Take the challenge on the ropes course. 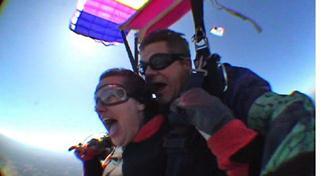 Ride the chair lift to see the view from 1,800 feet high. Paddle your way through the river. 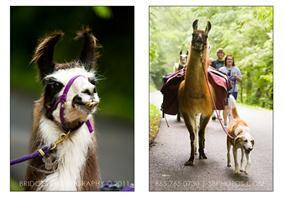 Ride a horse or a wagon. Enjoy the mountains with a guide. 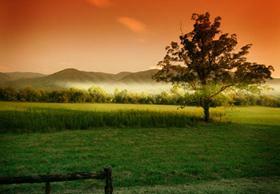 Drive through Cades Cove, a “living museum” full of beauty and history. 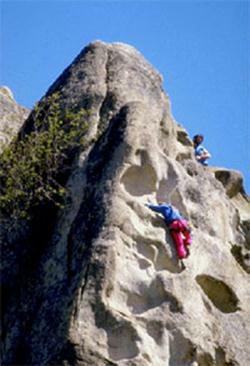 Climb and rappel from the rocks. Enjoy dinner with a show. 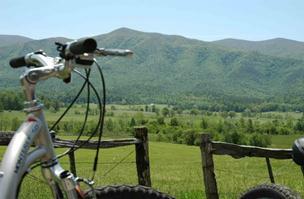 Bicycle through the Cades Cove Loop. 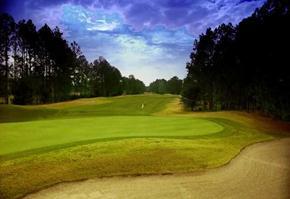 Ace your way through the lush golf courses. Slide down the snowy slopes. 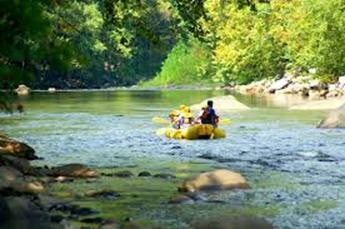 Fly fish your way through the waterways. 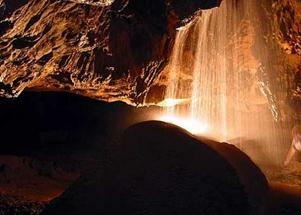 Explore under the Smokies in the caverns. Stand at the highest point of the Appalachian Trail. 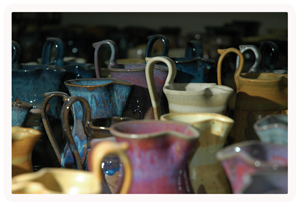 Visit the Arts and Crafts Community in Gatlinburg. 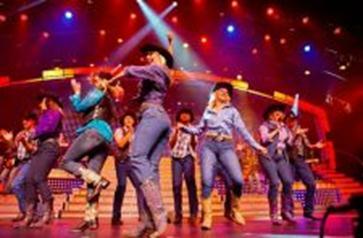 See a show at the Smoky Mountain Opry. Place 2 cups of white chocolate chips in a microwave-safe container. Add 2 tablespoons of vegetable shortening for every 2 cups of chips. Heat on medium power in the microwave (50 percent) for 30 seconds. Stir chips and shortening until completely melted and smooth. The melted chocolate will retain its chip shape until stirred. Continue heating on medium powder (50 percent) for additional 30-second intervals. Repeat process until the chocolate is completely melted and smooth. We put the chocolate in a squeeze bottle to decorate the cookies.